Jericho seemed like an impenetrable fortress to the Israelites, a walled city containing much treasure which separated them from the Promised Land. They had been decades in the wilderness and had had enough. Yet Joshua is told by God that, if they would blow their trumpets in a certain way and give a great shout in unison, the city would be theirs. Amazingly, it works; they walk in and Jericho is taken with ease. All Bible stories have metaphysical or second meanings, Florence Scovel Shinn says. 'Jericho' is simply the success which we may feel has been denied us, but which is closer to being ours that we think. It is possible that you have unknowingly built a wall around your success, which can fall once you come to certain realizations. If you have been hammering away at success for years without much apparent gain, unless you are unusually strong of mind resentment and envy will have started to eat away at you. Yet this outlook can sabotage your success just at it is getting close to being realized. Scovel Shinn devoted her life to helping people recognize the link between their attitudes and their level of happiness. A relaxed state of expectancy, she taught, is the best mindset for bringing success into your life. Sometimes, intensity of desire can actually turn away your good because it suggests faith only in yourself and not in the higher power which has created you. Few understand the success law that deep-felt, even burning ambitions and desires are most easily realised by allowing them to be realized - a case of 'set and forget'. It is hard for the driven person to accept the Biblical suggestion to 'Have no thought for the morrow'. 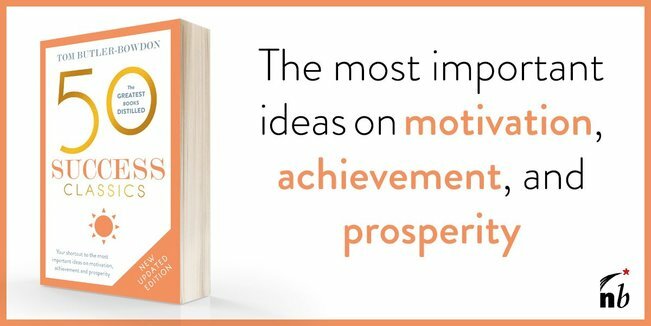 Yet instead of madly pursuing something night and day it is much more efficient to have a relaxed knowledge that the achievement you desire is pulling you towards it. "You never saw a worried or anxious magnet", Scovel Shinn notes. Be clear about what you want and then have the faith that it will come. Employ what she calls the occult law of indifference: "Your ships come in over a don't care sea." We have all observed that success has its own timeframe and often comes quietly when we least expect it. While it is good to change your outlook so that you expect good things, you must also prepare for them. We can read as much as we like about prosperity thinking and make affirmations, but this is only 'armchair faith', Scovel Shinn says, until we act prosperously in real life. She recounts the story of a woman who desired to send her two daughters to college but clearly did not have the money. However, against her husband's objections that the idea was unreasonable she went ahead with plans for their enrolment, stating that "some unforeseen good" would happen. As it happened, a rich relative sent her a some of money which covered all tuition costs for the girls. Doubt, worries and living in the past only buttress the walls around your Jericho. Life has a way of shaping itself to our expectations, good or bad, the author says, therefore, let your thoughts and actions express relaxed, unwavering faith. While Scovel Shinn describes prayer as "telephoning to God", intuition, she says, is "God telephoning you". Some people are careful reasoners, relying only on the intellect to solve a problem. They "weigh and measure the situation like dealing in groceries", but the solutions they come up with far from perfect. How often do we wish that we had gone with our hunch on an issue. At Christmas time a house can be filled with presents, but none are felt to be quite right for the receiver. Consumption without intuition is inevitably wasteful. Asking for guidance, the author says, "always saves time and energy and often a lifetime of misery." Intuition is the path of seeming magic, because it has the power of Infinite Intelligence behind it. "Unless intuition builds the house, they labor in vain who build it." Many of the great achievements have been guided by intuition. Scovel Shinn mentions Henry Ford, who never gave up on his feeling that the motor car could be for everyone. Despite his boss and his father thinking it a crazy idea, he persevered, hearing only the voice inside him that said "Do it". When you come to a fork in the road, follow the voice of intuition. If it is God's role to give us hunches, it is ours to be awake to them and not waste them. Many times in your life you will feel overwhelmed. This is the perfect time to practice faith over fear. A woman came to Scovel Shinn with a mess of complications in her life, and was simply told, "Let God juggle the situation". The woman took the leap of faith, imagining the matters out of her hands, and things quickly cleared up. Try to do everything yourself, and inevitably you drop the balls; what you find so difficult, of course is nothing to God. Perfect faith leads to perfect outcomes. It is easier to have faith with things that matter less to us, but the real successes come when we entrust the big things. Is there something we can remember to buttress this confidence when we need it? If beginning to doubt, the author says, say this to yourself: "His ways are ingenious, His methods are sure." Let God take up the burden. The author tells the story of a priest on a visit to a French convent, which every day fed many children. However, it had run out of money and the nuns were despairing. Holding up a single piece of silver, one of them told the visitor that this was all they had left to buy food and clothes for the children. The priest asked for the coin, and the nun handed it to him. He promptly threw it out the window, saying, "Now rely entirely on God." Soon after, people arrived bearing gifts of food and money. The moral? You don't have to throw away your money or close your bank account, but do not depend on the money you have. Whenever you feel "short", remind yourself: "God is the source of my supply". You don't need to know exactly how you will be provided for; don't limit the channels by which you might receive. The one caveat is that you should ask for what is yours by 'divine right'. Many achieve wealth but then quickly lose it, because it was grasped, not given. To maintain ownership of your investments, remember that they are a manifestation of God for which we must be grateful. Scovel-Shinn recalls an old Arabic saying: "What Allah has given cannot be diminished". If you happen to lose money, you will not be shattered, knowing that God will soon provide other opportunities. We are so used to our daily habits and patterns that we can wear ourselves into ruts; we cease to be aware of the opportunities that arise through being fully present in the moment, and we stop expecting great things. If there is one overall message to this book, it is that we must avoid being overwhelmed by life, to realise that there is something larger than us which is willing to shoulder the burdens. It is a simple fact that we are constantly "fooled by the darkness before the dawn". If we can live by faith instead of fear, we have found the secret door that the author speaks of. "Your big opportunity and big success usually slide in, when you least expect it. You have to let go long enough for the great law of attraction to operate. You never saw a worried and anxious magnet. It stands up straight and hasn't a care in the world, because it knows needles can't help jumping to it. The things we rightly desire come to pass when we have taken the clutch off." Born in 1871 in Camden, New Jersey, Florence Scovel was the daughter of a lawyer. She was educated in Philadelphia and attended the Pennsylvania Academy of Fine Arts from 1889 to 1897, where she met Everett Shinn (1876-1953), a well-known painter. They married after her graduation and moved to New York City to pursue their artistic careers, living near Washington Square. Florence became an illustrator of popular children's literature in magazines and books, and also a teacher of metaphysics. Her classic, The Game of Life and How To Play It, was self-published in 1925, followed in 1928 by Your Word Is Your Wand. The Secret Door To Success was published shortly before her death in 1940.